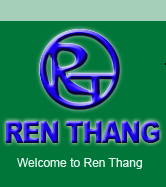 lead forming machine, wave soldering machine, turnkey solution equipment, pcb insertion line equipment, pcb depaneling machine, smt soldering printing machine - Professional Equipments Manufacturer by Ren Thang Co., Ltd.
RT-8X Series Lead Formers--Rugged axial lead formers with rotary disc cutters offer no-tools-required setups and changeovers. Changeovers and setups are simple and fast thanks to no tooling required pitch and lead length adjustments. RT-8X series of axial lead formers do not score or damage component leads, nor do they place mechanical stress or axial tension on the components. Heavy duty construction, full adjustable for lead spacing, leads length, part diameter, and shoulder length. Independent rotary disc cutters for longer cutting life. Won't score or damage leads or components. "Review Basket" or "Send Inquiry" button.